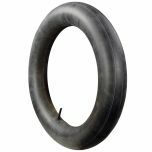 These premium quality Firestone Motorcycle Antique Racer Clincher tires are excellent for restoration projects and vintage motorcycle racing. 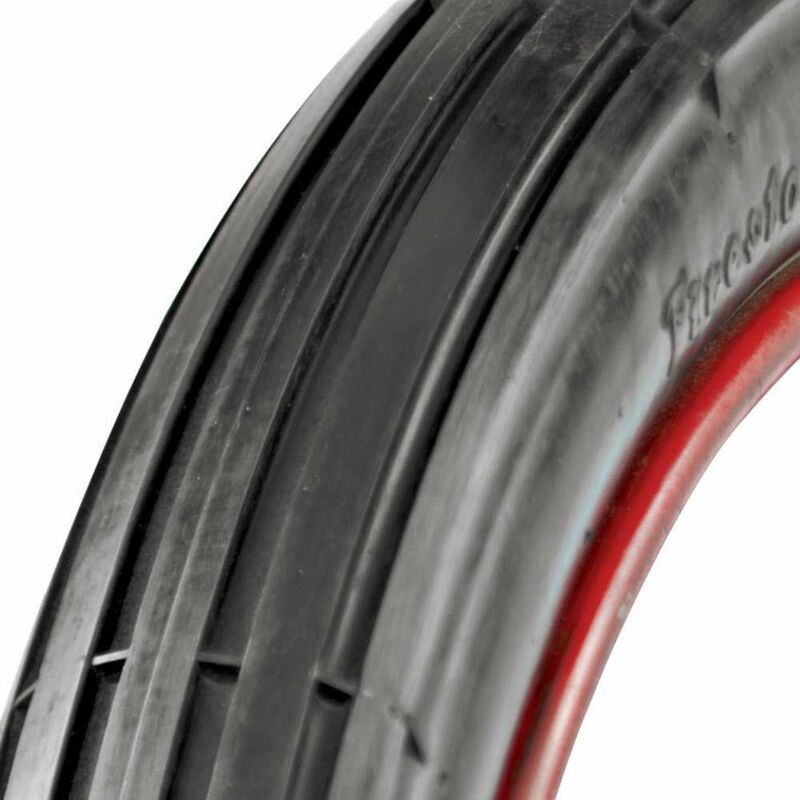 These vintage motorcycle racing tires feature authentic sidewall markings and tread design. Legendary Firestone history is built into each tire. These tires are for clincher style fitments. Take your antique racer project to next level with the right tire from the world's leading supplier of collector tires and wheels. will this tyre fit a modern rim? has the tire wire in the bead to hold it on the rim? This is a clincher - style tire with a bead that will only work with a clincher style wheel. If you are unsure about your wheel, please contact us for additional assistance at support@coker.com. 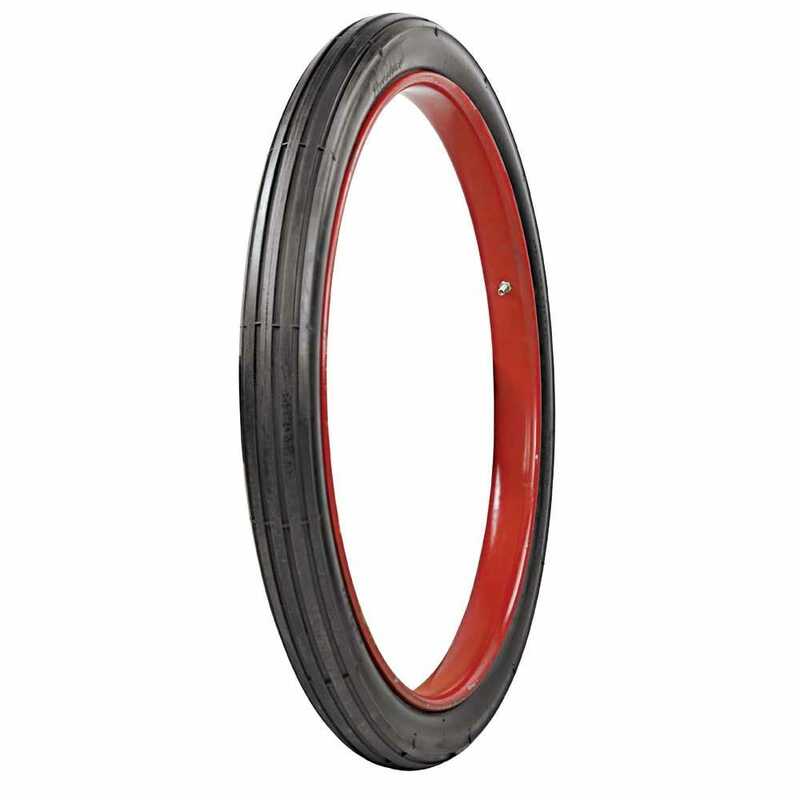 hello.i´am calling from austria/europe.can i get the complete set(the ribbed clincher 28x2,25 plus the right plain rim plus the tube)?would you send it across the water?what about the costs?thanks and greetings.b. For service in Austria, please contact our exports department via email at exports@coker.com. Refer to "Specifications" for recommended rim width as well as all other available measurements.